New Orleans, La. 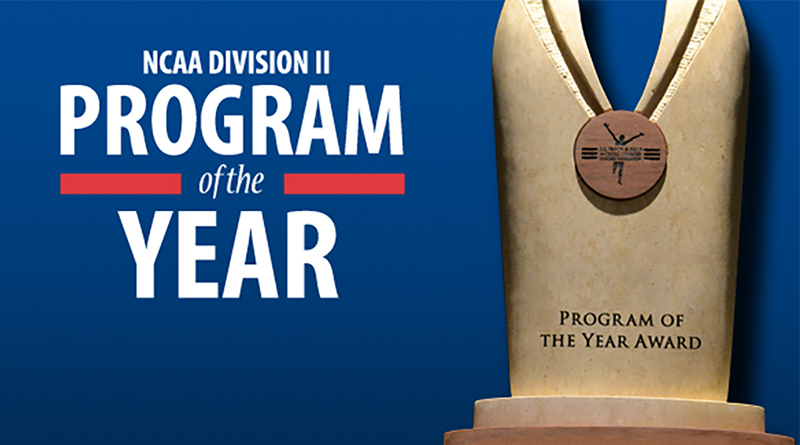 – For the fourth time in the last five years, the Missouri Southern men’s track and field and cross country program is the top program in the MIAA as the Lions finished seventh in the final United States Track and Field and Cross Country Coaches Association Program of the Year standings released yesterday. Teams earn points based on NCAA finishes in the cross country and indoor and outdoor track and field seasons. The Lions finished 17th this year at the NCAA Cross Country Championships and followed that up with a 16th place finish at the Indoor Track and Field Championships. Southern finished the year with a 17th place finish at the Outdoor Championships last weekend to earn 51.5 points and place seventh nationally. Southern is one of just two MIAA teams in the top ten this year (Central Missouri was 8th) and once again the top program in the league. The Lions finished 9th in 2013-14, 7th in 2014-15. There were no MIAA teams in the top ten in 2015-16 and the Lions had the program’s top finish ever with a 3rd-place finish last year. This year’s program saw Bryan Burns earn both the indoor and outdoor Regional Field Athlete of the Year honors and Burns capped off his career with a National Championship in the discus and two All-American performances in the NCAA Outdoor Championships. Burns earned four All-American honors this year, picking up honors in the shot put and weight throw during the indoor season. In all, Southern had five All-American honors in the indoor and outdoor seasons with Junior Joseph picking up honors in the indoor season.